2744 : Fallen warriors memorial. Relief plaque. Pentelic marble. Found west of Athens near Dipylon. This is the top of a public memorial of fallen warriors. attacking a naked opponent, who kneels on the ground holding his shield. 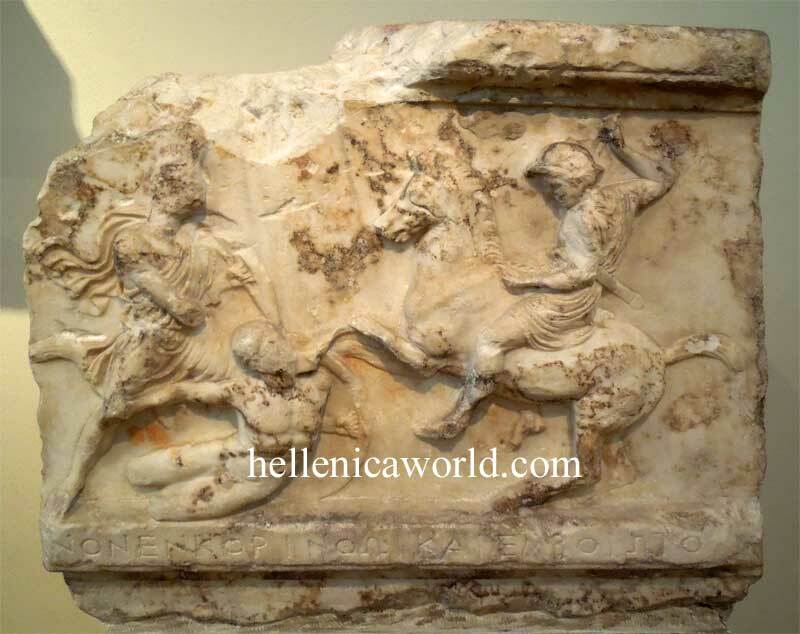 its theme is inspired by the battles of the Athenians in Corinth and Boeotia. to tribes appears in smaller letters below the relief.